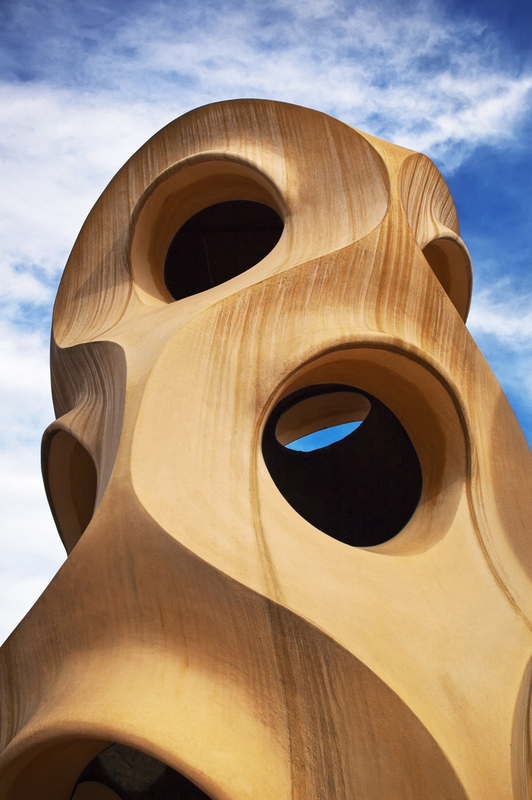 Resuming Casa Mila posts, this is another astonishing figure by Gaudi that reminds me of those enigmatic monolithic statues on Easter island (Isla de Pascua) except for the fact that this one is hollow and is one of La Pedrera's roof chimneys. Admiring this beauty will cost you just 11€ (Audio guide takes an extra 4€) with 10% discount in case you arrive on the tourist bus. ... and 10% discount as well through your CatSalut health card, which proves that you live in Catalunya, funnily enough. Works in Casa Batllo as well, 15%.